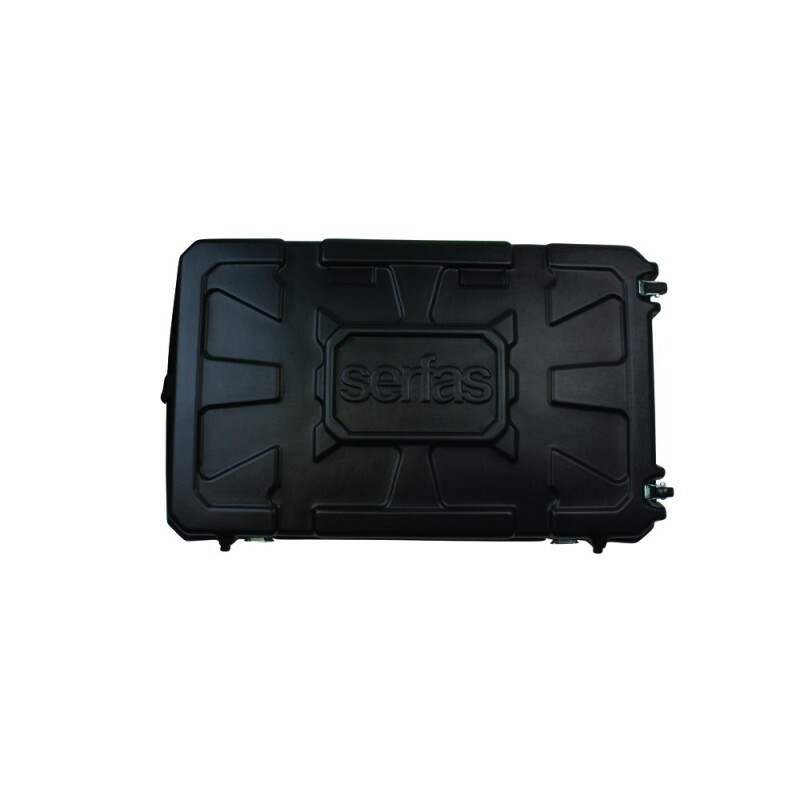 Tried and true, the Serfas® SBC Bike Case has been allowing cyclists protect their bikes while traveling since 1997. The Serfas® SBC is the perfect choice for traveling with your bike, whether flying across the country or simply keeping it stowed in the back of a vehicle, the heavy duty Polyethylene shell and internal foam protective layers is going to protect your bike from hard knocks, bangs, and potential dents and scrapes. Once closed, the built-in heavy duty steel latches allow locking to keep your bike safe and secure. This is an awesome case! 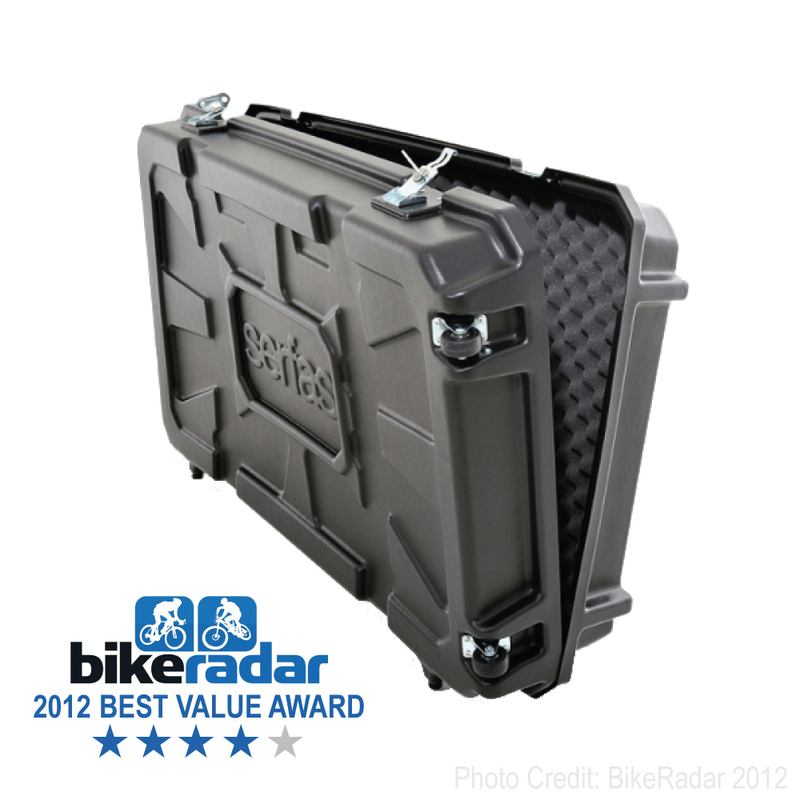 I have used other cases in the past, but this case made traveling to our bike race a breeze. 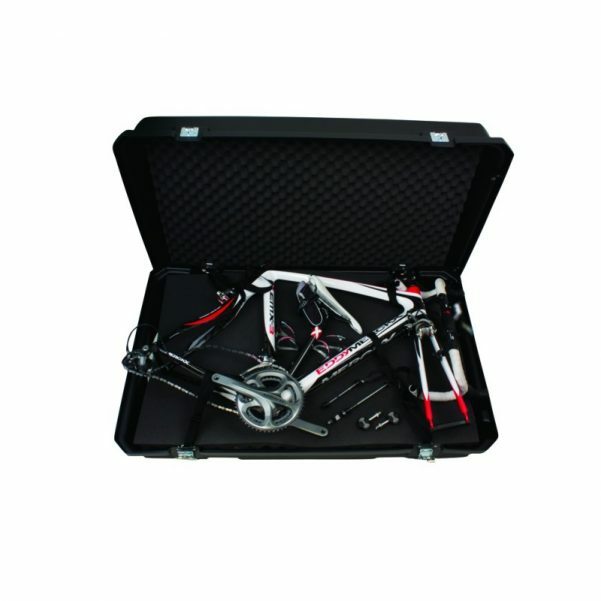 It is easy to pack all kinds of extra tools, pumps, etc in the case as well. The wheels fit perfectly and everything arrived in perfect shape. I highly recommend this case to anyone looking for a well priced plastic bike travel case. pried open the lid resulting in 2 latches on the other side being bent. I bent them back but now the 2 latches don’t work as well. The little rubber legs on the side of the case did not last one trip. They got ripped apart on the first trip. So the only damage has been on the outside of the case. My bike and other contents have done well. I have this case and it does a great job. My road bike is a size 57 and it is a snug fit. I would not try to put much larger of a bike in it. I tried to put an XL 29er hardtail in it so a buddy could use it. Don’t know how Serfas can say any 29er will fit. Unless you take the tires off the rim they don’t fit without jamming them in. And forget about putting the frame in there without complete disassembly. Road bike great! MTB not so much. Flew from Florida to Ireland to France and back to Florida. I recommend this case beyond any other. Its tough and strong. Ok its BIG but I put so much extra into the case besides just the bike. Pump, helmet, 2 pairs of shoes, 3 tyres, extra tubes, 4 extra water bottles along with all my bib shorts and shirts and still lots of space for more. My road bike is a size 56 and easily fit with the rear derailleur removed and handlebars turned, pedals must be inverted to fit the wheels on top. Overall a great case. But awkward dragging it through airports with a suitcase too.